There aren't a lot of places to shop in Santa Cruz, so when a new store opens, our fashionable locals take notice. And that's just what happened recently when Tomboy, "a little bit country, a little bit rock 'n' roll," opened. Founded by Debbie Graves and Summer Duppen, this vintage-inspired/American Spirit space is a new treasure in Santa Cruz. 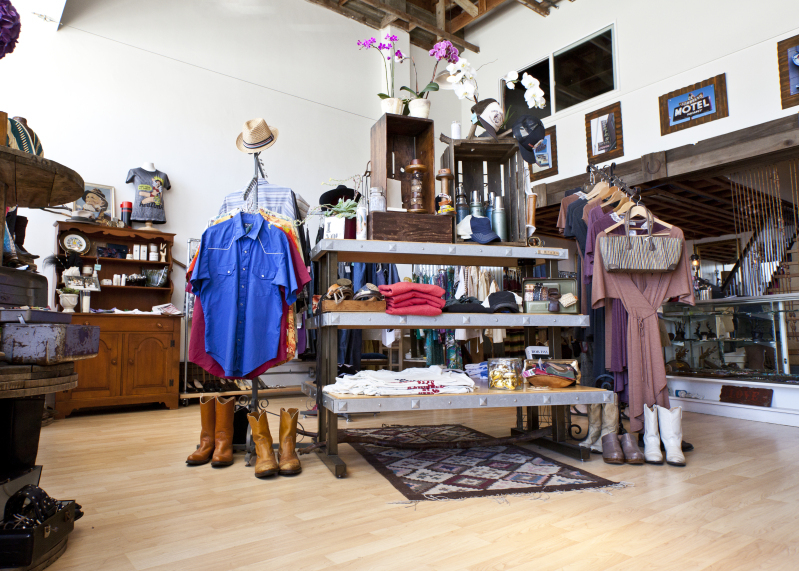 Located in the Rio Theatre building on Soquel Avenue, Tomboy offers myriad wares to indulge your inner cowgirl—belts, earrings, hats, bags, an amazing selection of boots and more. Brands like Frye, Justin, Tony Lama and Durango boots are represented, as are kitchen and household items, candles, soaps, lotions and more. With Idle Hands (a former downtown Santa Cruz store) now retired, some of its merchandise has moved to Tomboy, with Graves and Duppen selling Bandit Brand and Idylwild Clothing (both lines are also sold online). For now, if you're out of town, you can check out Tomboy at the store's Facebook page here, and look for an online shop to emerge soon. As Duppen says, if you want the "salt of the earth, wind in your hair, living the California dream," then swing by Tomboy. Tomboy, 1207 Soquel Ave., Santa Cruz, (831) 425-1405, facebook.com/tomboy.santacruz.